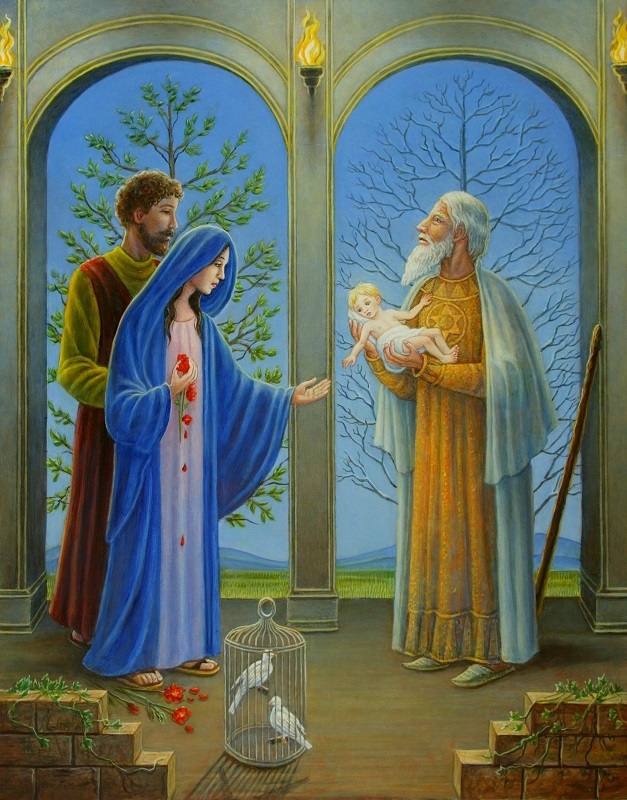 The painting shows the moment when Mary hears that a sword shall pierce her heart. She is gripped by a terrible fear, but the child reaches out to comfort her. In life sometimes we are given a premonition of our fate, which perhaps makes it easier to bear when the blow falls.